Apple is once again showing why it commands respects from users from a software perspective by following up the initial release of iOS 11 with quick-fire subsequent builds to patch issues. As you may already know, the Cupertino-based company released iOS 11.0.2 for all compatible iPhone, iPad, and iPod touch devices yesterday. The new update not only fixes a number of issues and bugs but also appears to instantly reclaim some storage space on the device for owners to use in other areas. It’s important to note that the amount of storage space reclaimed would depend entirely on the device type, the storage capacity of that device, and the type of data and information stored on it. 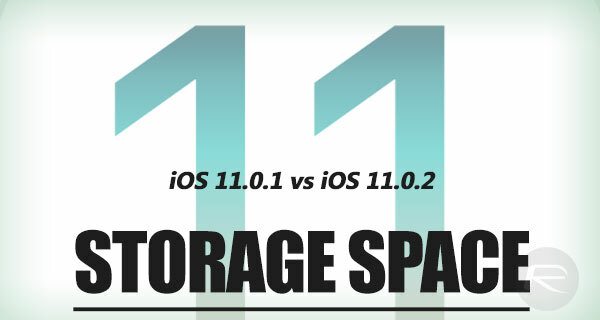 Usually, the higher the storage capacity a device has, the more chances it has of freeing of more storage space. 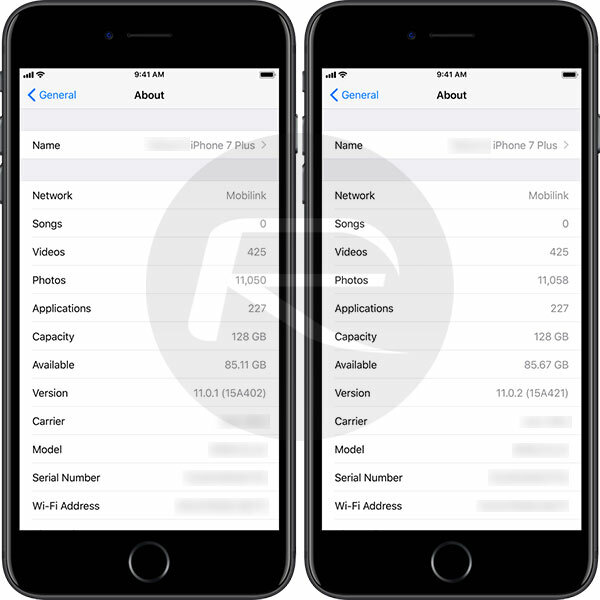 In our test case, which involved upgrading to iOS 11.0.2 over-the-air on a 128GB iPhone 7 Plus, we managed to instantly get back approximately 500MB of space, moving from a pre-iOS 11.0.2 available capacity of 85.11GB to having 85.67GB post iOS 11.0.2 installation. This was also verified and tested on a second 32GB iPhone 7 Plus, with the pre-iOS 11.0.2 availability sitting at 7.81GB, and the end availability sitting at an agreeable 8.13GB, offering an approximate 300MB improvement. We don’t know the exact reasons for the improvements, but it’s likely that it’s less to do with iOS 11.x being a smaller installation than other versions of Apple’s mobile OS, and more to do with efficiencies being made internally about how data is stored on the device and the formats in which it’s held. Apple has shown recently that it is placing a huge emphasis on being efficient on its platforms, which has been evidenced by the move to APFS on iOS and macOS, as well as the creation and adoption of the High-Efficiency Image Format (HEIF) and High-Efficiency Video Coding (HEVC) standards which dramatically improve media storage efficiencies on Apple’s devices. As always, mileage will vary device to device, but if iOS 11.0.2 is waiting as an update for you, then it is definitely worth grabbing. It probably just cleaned up all the crap from the 11 update and 11.0.1 update.